…Sometimes, you need to give your face a lift and the sweet treat it deserves. But is Botox the right way to do this? What is Botox? It’s merely a neurotoxin produced by bacteria. It’s useful for the treatment of wrinkles and removing of fine lines from the face that has developed due to ageing. It is applied on the skin by injecting it with a little dose of neurotoxin that is well enough to influence the functioning of the facial muscles. Botox is a popular cosmetic procedure in the US. Here are a few factors you should consider to be able to decide if Botox is the right treatment for you. 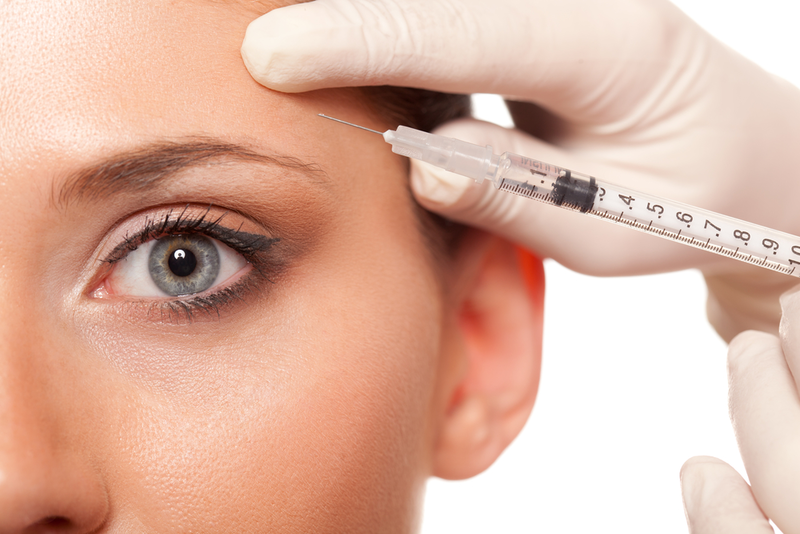 If you administer Botox on your skin with these symptoms, it could lead to fatal effects. Avoid inflammatory drugs such as ibuprofen. Abstain from these medications for up to a week if possible. Also, stay away from alcohol for two days before administering Botox. How Long Does The Botox Last? There is no definite duration, but on the average; Botox lasts for about 3to six months. But they tend to last longer if you take the treatment often. Botox has a long time effect of preventing the appearance of wrinkles. Several injections are administered to avoid the muscles of the face to stop moving so they won’t be able to form lines on the front anymore. Are The Side Effects Immediate? After injecting your skin with Botox, you may notice a null side effect at the spot. But the more injections you have had in the past, the faster you will notice any side effects. Hence, it might take a long time to see results if you are taking Botox for the first time. But as time goes on, you will begin to see results. It depends on the perimeter of the treatment and the provider. On the average, each injection is likely to cost $375-500 per area. An area could be considered as a point in the face, such as the forehead and the eyebrows. 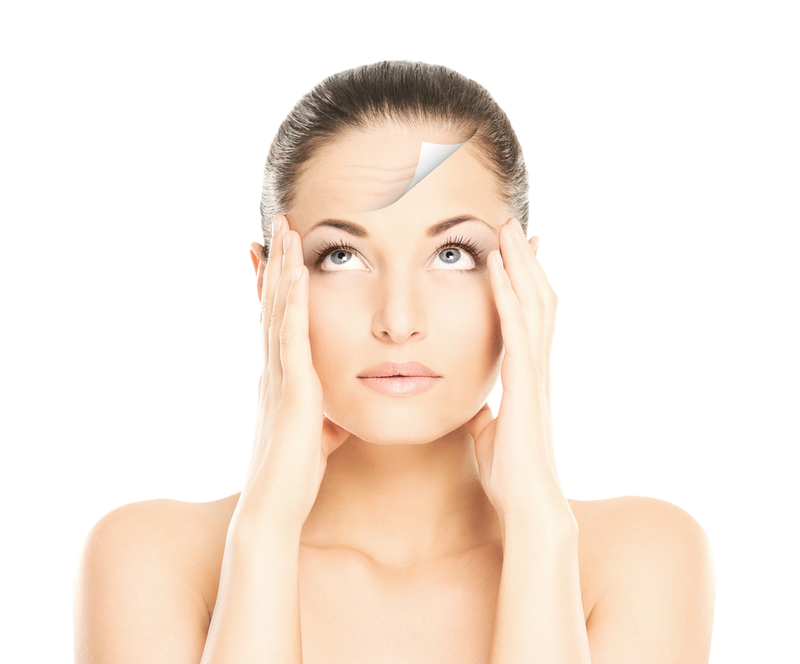 How can you determine if Botox will be a useful option for you? You will need to seek medical council and allow a health practitioner to evaluate your health needs to figure out the best cosmetic treatment that is suitable for you. Everyone wants to look young forever. It’s difficult to forget the fresh skin and youthful vigour you once had. We wish we could remain same. Unfortunately, aging is inevitable, and as time goes by, lines of wrinkles begins to appear on the face and other parts of the body. People respond to aging differently. Some may accept it as it comes while others will look for solutions to reduce it. …Due to the technological advancement in medicine, there are several options you could adapt to look younger than your age, without necessarily going for a surgery. Your choice will depend on your skin type, eating habits, budget, time, overall health, and lifestyle. We can help you to pick the perfect option for you. As a way of introduction, we are going to describe some of the best non-invasive techniques suitable for your aesthetic concerns. Wrinkles appear on the skin as a result of the facial muscles that repeatedly trigger over time. These wrinkles appear as furrows and lines on the skin and especially on the face. This is where you need Botox. Products such as Xeomin, Dysport, and Botox to correct facial lines resulting from aging. They are all forms of botulinum toxin, which are painless injections. The toxin from botulinum bacteria is administered in a tiny dose on the facial muscles. It works by relaxing the muscles and reducing the forehead furrows and visible crow’s feet. When Botox is injected onto the muscles of the neck, it can curb the dreadful turkey neck as well. It’s seen as a lunchtime procedures, and results become visible after 3-7days. However, the wrinkles will come up again after the effect of the treatment is gone. So, it’s best to apply Botox treatment once every 3-6months and less often after that. Juvederm Voluma is a useful hyaluronic filler that you can use to contour the face. It works by reducing the smile lines around the nose and marionette lines around the mouth when injected into the facial muscles. The effect is long-lasting (up to 2 years), but you will need to repeat the procedure to maintain the results. Hyaluronic acid fillers such as Restylane and Juvederm can be used to treat dark eyes circles and under eye bags. The production of new collagen under the skin is triggered by fillers that smoothed out its lines and folds on the surface. This helps you to restore the youthful vigour you once had. These eye fillers can also be used to plump the lips too. Recently, fat volumes have been injected into the lips to help restore its volumes. Another method you could adapt to restore your youthful glow is microdermabrasion. It works by exfoliating the dead skin from the uppermost layer of the skin using tiny crystals. It can be used to treat skin damaged by the sun, mild acne scars, age spots and reduce fine lines on the face too. However, to get better results, it’s usually combined with chemical peels. Glycolic acid, salicylic acid, lactic acid, phenol and trichloroacetic acid (TCA) are chemical solutions that can be used to peel the upper area of the skin in series. The answer is applied to the skin’s surface for 15mins. As a result, you might experience mild skin irritation. But the skin becomes radiant when the dead cells are peeled off. Chemical peels are effective means of rejuvenating the skin to look younger and better. You can repeat the steps after 9-12months. Kybella is gotten from a substance produced by our bodies. It’s a non-invasive method of regaining your lost youthful vigour in no time. It focuses on the neck and reduces the stored fat there while it tightens the skin. Treatments with kybella need to be done 2-4 times every 4-6 weeks. Fortunately, the results of this treatment is permanent. Its suitable for anyone who wants to look younger than his age. An excellent example of a cosmetic laser is Excel V by Cutera. It helps to improve the skin condition. This product works by clearing up skin imperfections from the skin such as spider veins and bruises. It requires a one-time treatment, but severe cases could need several treatments as well. The cosmetic laser is readily available in various forms and used for treating skin problems such as scars,fine lines, varicose veins, laser hair removal and fine lines. Fewer risks are associated with these new and technologically driven, non-invasive techniques. It’s far better when compared to invasive surgery. Botox Xeomin And Dysport – Which Is The Best For Preventing Wrinkles! In the past, people that wish to prevent lines and wrinkle on their forehead or erase those that have developed on them use a particular neuromodulator known as Botox. Lately, two similar neuromodulators appeared in the marketplace, having received US FDA approval. They are Dysport (2009) and Xeomin (2011). These two products operate by stunning the nerve endings and ensure that the muscles that surround the areas where a person is injected are frozen. Although these products perform similar functions, this post will highlight the benefits and usage of each of them in a bid to determine the best neuromodulator for wrinkle prevention. Botox, Dysport, and Xeomin have active components in them. They all fall under the same classification of drugs. Besides, they all use Botulinum toxin, a neurotransmitter to stun the nerve cells that provide a specific facial muscles. Theresult is the paralysis of the facial muscles which become stagnant and hinder additional formation of wrinkles. These are the similarities that exist between these products. The molecular structure that exists in these products isnot the same. This is the reason for differences in their performance when they are injected. The three products have been scientifically tested and confirmed to possess the same strength; hence, the issue of superiority does not exist. They all have a duration limit that ranges between three to five months; although, this depends on the muscles’ size and strength around which they are injected. In addition, it takes between two to five days for these products to display their optimum results, depending on how they perform when injected under the skin. Botox is the non-surgical cosmetic treatment given to reduce the occurrence of wrinkles on the forehead, crow’s feet and on the sides of the eyes to enhance youthful appearance. In 1999, Botox received a US FDA approval and has since dominated the marketplace as the only US FDA approved product in its category. Millions of customers use this product as a part of their beauty regime to look younger. It is widely known for removing wrinkles on the forehead. There are proteins in Botox. They cluster around the region where Botox is injected. This makes it last than other related product. Numerous customers have attested to the potency and effectiveness of Botox. This has boosted the confidence given to it by both administrators and users. There are similarities that exist between Dysport and Botox. First and foremost, both products contain added proteins. Besides, Dysport is lighter than Botox. The way it spreads is not also the same way as Botox because its diffusion is higher and its spread covers a larger area. To determine which one to use among Xeomin, Dysport and Botox, cost is a major factor. The least expensive among them is Dysport however, additional units of it are required to produce the same result as Botox or Xeomin. Dysport has a great benefit as it produces a more natural appearance in people that are injected with it. As a result, it is suitable for people who desire body changes that are difficult to notice. Unlike Dysport and Botox, Xeomin is free from all forms of protein additives. Being the purest form of neuromodulator, this product has several upsides. An outstanding feature of Xeomin is that it requires no refrigeration storage; hence, can be stored at room temperature. For this reason, it is less expensive than Botox which gives the same outcome for the exact number of units used. Besides, the occurrence of allergic reactions is rare in Xeomin and the absence of additives in it further reduces the reaction. Some people develop antibodies to neuromodulators and this reduces their efficiency with time. The probability of developing antibodies to Xeomin is very low since it is free from protein additives. In conclusion, your choice of neuromodulator: Botox, Xeomin or Dysport will be based on certain factors like the kind of result you seek and the extent of wrinkle you intend to eliminate. …This is a common question patient usually ask about the right time to use dermal fillers injectables such as Juvederm and neuromodulators like Botox. 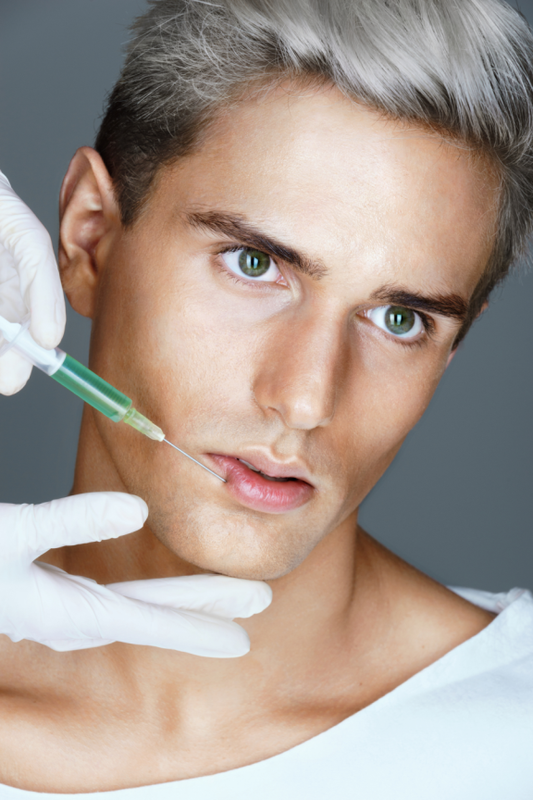 The truth is that there is no specific age to start using injectables. You can start when you deemed fit to perform preventive care. Let’s study a scenario, assuming you just bought a brand new and perfect home, will you wait till it’s falling apart before you fix it accordingly? No, you would instead prefer to take off the maintenance issues as they arise so your home can be in good condition always. Your skin is just like the new home in the example. It’s best to care for your skin gradually, instead of waiting for problems to occur first. If you decide to avoid maintaining it, you will end up spending much money to care for evitable skin problems in the future. Just like the example above, skin problems are hard to spot when it’s minimal. When you stare at your face in the mirror, those fines lines might appear subtle until they become real problems. Here is a perfect rule to observe. You may notice some fine line between your eyes whenever you squint or frown, you may not see them when your face is average. So if you notice any fine line on your face while at rest, then; it’s time to to get treated with an injectible neuromodulator such as Botox or Dysport. Most people prefer to get injected with Botox even before they notice those fine lines. If you inject the upper face muscle that causes frowning and the horizontal lines, they will not be able to develop in the first place. Some people use this approach when in their 20’s. If you want to use dermal fillers to combat aging, then it’s good to start in your mid-20’s. At the age of 26, your body is already losing some bone and collagen. So it’s a good time to start administering injectibles. If you start early, you will need fewer products compared to those who start in their 50’s. And you will look fresh and young for many years too. Dermal fillers can be used for diverse purposes. They are useful in pumping the lips at any age, add dimension to the chins, volume to the cheeks, and increase nose bridges. For these, you can administer dermal fillers anytime. The fact is that there is no perfect time to begin administering injectibles. You can start whenever you want, but according to the saying, an ounce of prevention is worth a pound of cure. So the earlier you start, the better for you to be able to look your best and younger as you age. …From the time Botox became a useful treatment option, both men and women have used it to eradicate the effect of aging on the skin. Recently, a study conducted on Botox treatment revealed that Botox could be an effective means of treating headache and migraines as well. The study was conducted by the Archives of Dermatology, and they used a small group of 18 people. These people had suffered from a migraine either in the past or present which was known as “imploding,” “exploding,” “ocular,” and “splitting.” these people were already nursing the idea of taking Botox treatment for strictly cosmetic purposes. After three months of the procedure, 13 out of the 18 patients discovered that they felt relief from a migraine headache. The occurrence of a migraine headache decreased from 6.8 days per month to just 0.7 days per month. Due to the application of Botox treatment. Although it didn’t produce a much drastic result for the other patients, they were still able to report noticeable changes. Since previous medical studies have failed to provide a consistent result of how much Botox is required to eradicate a migraine entirely, the FDA is yet to approve Botox as a medical treatment for chronic headaches and researches cannot claim with certainty about how Botox can be used to treat migraines. But they suspect that it could have resulted from the ability of Botox to block the sensory nerve signals that are outside of the head which is also responsible for triggering migraines. Presently, Botox is the most popularly used cosmetic injectable treatment for eradicating fine lines and wrinkles, and it’s linked to no significant downtime. If you want to reduce the visible signs of aging and at the same time treat the frequent occurrence of a migraine headache, the Botox might be your best option. But you should remember that the FDA has not yet approved Botox as an effective treatment for migraines and headache. Hence, we cannot say with certainty that Botox can cure these health problems. …Over the years, Botox has been the primary method of reducing the effects of ageing on the face. Most women choose Botox treatment over other cosmetic procedures because it uses simple yet effective processes to enhance your appearance. Below are some of the favourite questions asked about Botox. Botox is commonly used to reduce the signs of ageing such as wrinkles and fine lines on the face. The injections work by inhibiting the contraction of the muscles, and this helps to lift sagging mouth muscles. Prevent fine lines from forming and soften vertical necklines. If all instructions are adhered to, then; Botox won’t produce an incredible effect on your face. However, the medical practitioner performing the treatment should understand the right amount of dose to use for a particular area or lines you are trying to remove. If you apply an excessive amount of Botox, your muscles can become stiff, but if you use an insufficient dose, you might not have the desired results. Does Botox Make Me Feel Numb? Botox exact pressure on the muscles and not the nerves. So it does not affect the sensational part of your facial lines. It is also used to lift the brows and reduce the frown lines between them. You will still be able to feel yourself in all areas of your body after applying Botox. You will feel a slight discomfort because of the injection, most doctors administer topical anaesthesia before the treatment or place ice on the injection site to numb the area. Does Botox Have Any Side Effect? Botox has some minor side effects that go away after some time just like any drug. In about five to ten percent of cases, there could be a minor drooping of the eyelid or eyebrow for about two weeks. Some patients experience some slight bruising at the site of injection. However, these side effects won’t last long as they tend to disappear after some weeks. You won’t notice the results instantly. It might show after a few days in most cases. But it will become evident after about two weeks. You are advised to avoid Aspirin and NSAID medications within that time. You should also avoid workout for 24 hours after treatment, but you can choose to wear makeup almost immediately. The results are never permanent. The effect can last for 3 to 4months depending on the patient. Those who hope to remove wrinkles and fine lines without having swelling or an extended period of recovering, then; Botox can be an excellent option. …Whenever you feel like smoothening your skin, Botox is the leading skin enhancement procedure that comes to the mind. 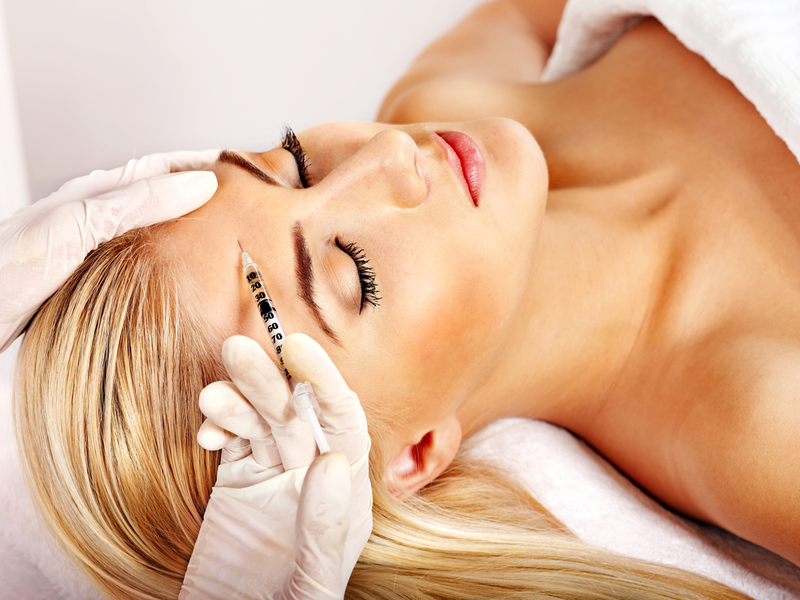 You can apply Botox treatment on your skin with an injection to eradicate the fine lines and wrinkles from the face. But ensure you consult your doctor to discuss the medical options available. Below are the answers to six common questions about Botox. How Can Botox Improve The Appearance Of My Wrinkles? Whenever the muscles contract and release acetylcholine, it produces wrinkles on the face. When Botox is administered, it prevents the release of acetylcholine, and the muscles become relaxed. The effect creates a soothing relief for your muscles as it smoothens the fine lines and wrinkles in the process. Generally, the effects of Botox treatment becomes noticeable within three to six months after its application. This depends more on the number of Botox units used instead of its effectiveness and volume. What Problem Can Be Solved With Botox Treatment? The American Society for Aesthetic Plastic Surgery (ASAPS) and the American Society of Plastic Surgeons have endorsed Botox as entirely safe for the treatment of wrinkles and fine lines. Can You Have Complications From Using Botox As Treatment? It is unlikely that any complications will arise after the use of Botox treatment and it usually has no side effect from studies conducted and also from its users. But you should always watch out for signs that could indicate a side effect. In case you notice any of the following symptoms immediately after applying Botox or weeks after the treatment, consult your doctor. Neuromuscular illness including Lambert-Eaton syndrome, Myasthenia gravis, or Amyotrophic lateral sclerosis (ALS). Botox (botulism toxin) is a protein that has to do with food poisoning because it’s gotten from Clostridium botulinum. When it’s injected in small doses under the skin can inhibit the movement of the facial muscles. Thus, the face will appear smoothened, as the treatment must have removed the fine lines and wrinkles. Botox is a cosmetic product produced by Allergan Pharmaceuticals. Wedding preparations can stress the hell out of you. Making you be multi-tasking all of a sudden. As a bride, you want to look your best on the “big day.” SD Botox can help you to rejuvenate your skin ahead of your big day. As a bride, it’s normal to look good on your wedding day. But what can you do about the furious sweating or the sudden breakout on your face? Have you seen some lines appearing between your eyebrows? Or some crow’s feet beside your eyebrows and you want to eliminate them before your wedding date; Botox can help. Here are nine anti-aging signs you might want to fix before your big day quickly. A non-surgical nose job: This is quite simple. We can use dermal fillers (hyaluronic acid) to alter the shape of your nose. The entire process takes about 15 minutes with little or no pain and bruises. Hence, you can resume your daily activities almost immediately. If you want to fix the shape of your nose, then you should consider fillers. You can use them to correct facial flaws and irregularities. It smoothens out bumps and dent which gives your nose a slimmer look. After applying filters, your nose will look smaller and in proportion to your face with no downtime. Dermal fillers can serve as a good substitute to rhinoplasty for brides. It is effective for women looking towards changing the shape of their nose. Lip enhancement: Botox can help you to achieve a smoother and fuller lip. It’s injected in doses into the lips and mouth region, and the entire procedure takes about 30 minutes. The results could last up to nine months. You can make the kiss on your wedding day a memorable one with that perfect lips. What About Other Cosmetic Option? Stop all the sweating: It’s no longer news that Botox is effective not just on wrinkles alone. It also controls excessive sweating in your underarms and scalp. I know you don’t want to show up on the alter sweating furiously. Worry is part of the inevitable experiences on your wedding day. When you apply this treatment, you can be assured of a sweat-free wedding day. With a single treatment, you can rest assured of a great wedding party. Botox can help you to look great without worrying about sweating all along. Enhance Jawline or Cheekbone:Most women aren’t happy about the buildup of big cheekbones on their faces. But with a few injections, you can have it corrected in no time. Many brides either desire a dramatic look or a toned-down look on their big day. You can have such with Dermal Fillers. It works by contouring your cheekbones to make it appear fuller and beautiful. Brow lift: As you age, you will discover that your skin will begin to sag around the eyes. It, therefore, creates a domino effect on your face. 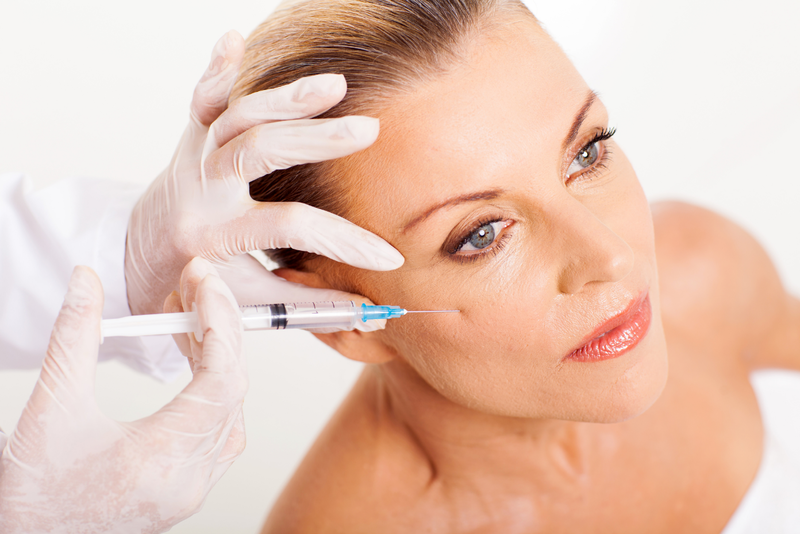 Botox injection can be used to make you appear younger than your age by boosting your appearance. The procedure takes less than 10 minutes, and the results can be visible after two days and last up to 6 months. What About The Hands? They Need Help? Anti-age the hands: As you age, your skin will begin to sag and loosen up. Take a look at your ring finger and see if it’s presentable enough on your wedding day. Your ring finger will be visible to everyone on that day. It won’t be nice to attempt hiding it because it’s not presentable. What About Loose Skin or Scars? The Double Chin:Many women find it difficult to remove excess fat from the neck or a double chin. If you are struggling with a double chin, you might have resolved to diet or exercise, all to no avail. Getting rid of double chin is not an easy task to perform yourself. Fortunately, you can solve this problem using a procedure known as Kybella. With Kybella, there will be no need for a lip suction. It helps you to have a narrow and beautiful looking chin. Most brides have rough skin types and even acne and chicken pox scars they sustained probably during childhood. And a lot of these women spend a fortune to remove this scars before their wedding day. A procedure known as micro-needling is a painful treatment option for such conditions. It uses needles to pierce your skin a little to stimulate the skin repair capabilities and enable it to produce collagen and elastin. The result is smoother skin with a thickened dermis, and there is no damage to the tissues, and the skin begins to heal immediately. For many years now, Botox injections have been a very popular cosmetic dermatology treatment, in part because of the many celebrities who have had it done. Plus it is a great alternative to plastic surgery for fighting signs of aging. 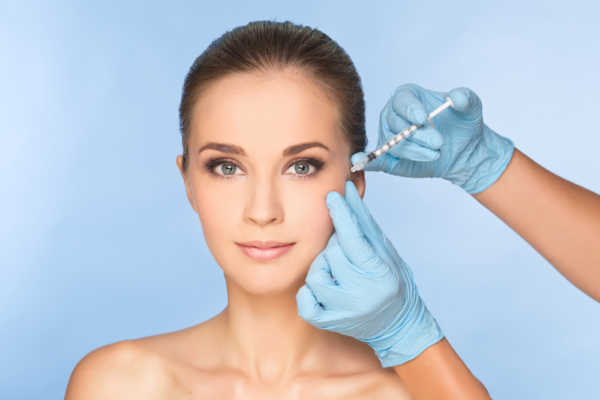 Botox injections are used to smooth out fine lines and wrinkles and prevent further lines from forming. They are usually used to treat areas around the eyes, neck, and mouth. It may sound like a simple treatment, and it is, but as with any medical procedure, there is some aftercare that should be done. After all, you don’t want to hurt yourself or mess up the results of the treatment. To make sure get the most from your Botox procedure, there are five main things you should to do after the procedure. Don’t touch it! Leave the area alone for at least 24 hours. The injections are not filler, after all. Botox is toxin, made from the same bacteria that causes botulism. That’s where the name comes from. The area you had treated most likely is a “trouble” area, and may be sensitive. You may feel the urge to touch it, but don’t do it. Avoid rubbing or applying any pressure to the treated area so the Botox doesn’t move into an unintended area. Because it’s a toxin, if something happens to it, it can cause adverse effects, such as drooping eyelids or even nerve damage. So give it time to settle and to begin its works, and do not touch for at least a day. Pain killers may or may not be needed. It doesn’t happen often, but sometimes person may experience some slight pain after having treatment. If any pain is experienced, it should only last a few days. If you do experience any pain, ask your doctor about using Tylenol or a numbing cream. Strong pain killers shouldn’t be necessary for a non-invasive procedure like Botox injections. An ice pack can help with reducing bruising, but again, consult your doctor first. Facial exercises can be started after waiting a day. All you will need to do is just gently exercise the facial muscles by doing normal facial expressions like smiling, frowning, grinning, etc. You don’t need to do anything strenuous or particular. Botox can do what it’s supposed to on its own. Sleeping should be done in such a way that you avoid sleeping on the treated area. It can be tricky to sleep in a particular position and stay in that position, but you must try to do it so the treatment has time to settle. So, for example, if you got Botox you face, try your best to sleep on your back. It may be hard to do, but it’s only for one night. Exercise or any of your daily routines can be done without any worry. That’s one of the great things about Botox – it doesn’t interfere with your daily life. You can just go to your appointment and then carry on with the rest of your day like normal. For proper aftercare for Botox, light to medium exercise is perfectly fine, but you may want to avoid any strenuous exercise for a few days, just to be safe. And remember to not touch your face for a day. Some people think Botox is a screen treatment. Although it has been useful and safe for a long time, yet; most people are not exposed to its numerous benefits. If you ever want to eradicate those fine lines or treat any skin disorder, Botox offers you a wide range of uses and benefits which include a gummy smile treatment and perspiration reduction. Let’s consider the major non-cosmetics benefits of Botox. A migraine headache can be terrible, but after applying Botox injection, sufferers tend to experience fewer cases of such headache. And also reduces the associated pain too. Although the reason for this is not yet ascertained, some experts are of the opinion that since it helps to relax the muscles, it, therefore, reduces the pain intensity. If you are constantly suffering from allergy or you are getting some irritation that is affecting your lungs an nose, Botox can bring you relief, and even to those people suffering from coughing and sneezing because of severe rhinitis attack. Botox has been seen to be very effective in the treatment of both the non-allergic and the allergic forms of this condition. This would make you become comfortable and live your life as usual. It’s a medical condition that is common in men of age 4o and above. But when Botox is injected into the urinary gland, it aids the flow of urine and helps to combat urinary tract infections. Botox has also proven to be useful for treating arthritis pain and other aging-related ailments. Sweating too much can be a significant source of concern, sufferers often have problems with their social life because they can’t mingle easily. And they can’t hold things properly. If you ever experienced this, you will notice that prescription antiperspirants could not resolve it either. Botox can curb it. Botox can be safely used for the treatment of excessive sweating. It works by disrupting the flow of chemicals that stimulate your sweat glands. Hence, it’s used to correct such a hormonal imbalance. A stiff muscle makes movement a burdensome task. Most people, especially those suffering from muscles sclerosis can attest to this fact. When Botox is applied, it helps to loosen the stiff muscles and prevent muscle spasms. Botox for muscle spasms has been tested to be able to reduce eye twitching and crossed eyes, thereby helping people to live a healthy life again. We can’t possibly exhaust the numerous benefits of Botox. The National Institute of Health of the U.S. National Library of medicine recently produced more than 30 therapeutic uses of Botox. 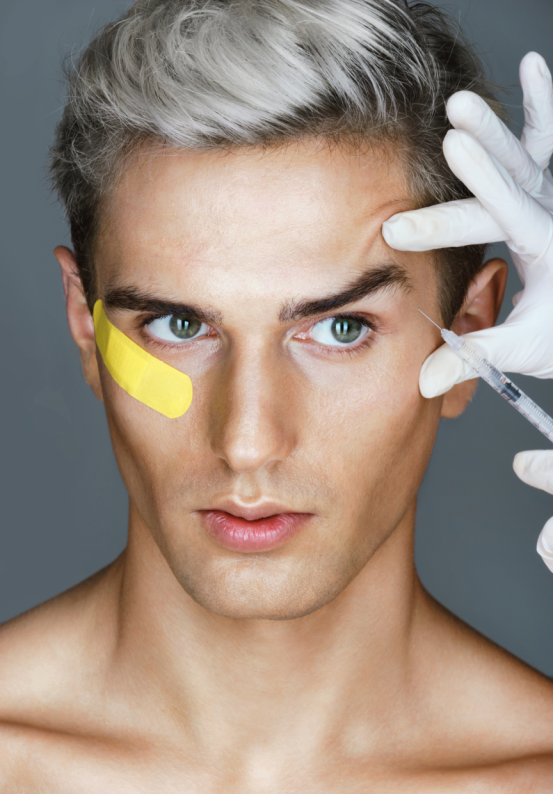 Whether, it’s a muscle, nerve or skin, Botox could be all you need. So talk with your doctor and examine if it’s a right decision for you.